A good domain name registration requires some research before register. Today almost all common names which are usually the first choice of anybody looking to register a good domain name are already registered. There are times when one finds that there is no word or domain name which is left and still lying unregistered. This usually happens to a newbie webmaster who has just started on internet and after going through advice and how to information on a number of websites is now ready to register a domain name for himself. One common philosophy in domain registration is choosing a domain name which conveys some meaning associated to your product or service. Now, this is not possible today, at least without doing a bit of research. Today we find that only those meaningful words are registered as domain names but even synonyms and words with contrary meaning too are registered. 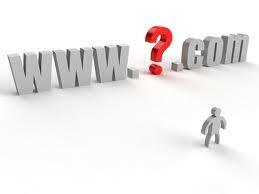 So, getting a good domain name for registration is difficult if not impossible today. Although there are a number of tools available online which do help in suggesting a suitable domain name but one has to use his own logic to those suggestions in order to reach a domain name which is still unregistered. Today one good thing has also happened with the boom in internet and internet related services. The good thing is now we have a number of options to choose. One can register a domain name with several extensions like com, net, org, info etc. Along with these domain extensions more are available today which are country specific domain names like.us,.uk,.in, and also third level extensions. These new domain name extensions have surely helped in registering the most suitable and useful domain name which is specific to a region or department. If one choose a domain name for registering keeping all these options in mind, one can definitely get a suitable domain name which best suits his requirement. Now along with these benefits of finding a suitable name representing specific products, services and region, there is another benefit of an extension specific to a trade or region and that a website with such domain name is helpful in website optimization. Now after getting all this information next important and crucial thing is to find a tool which can make this work easier in a friendly manner. It is really very cumbersome to search for a domain name with several extensions one by one. There is also a problem that all domain extensions are not available with every web service provider, most of the web service provider deal in three or four commonly used domain extensions. Even if most of these domain names are available there is no useful tool which can make things easier for research. really simple to understand . keep working you will be very famous soon. Glad to see you again on Blogs Daddy. Why you didn't publish any new post on your blog? ?